It's all about serendipity as a germaphobe and struggling college student keep stumbling upon each other in this fun and vibrant drama adaption of a popular webtoon. Gil Oh-So (Kim Yoo-Jung) can't seem to catch a break, juggling odd jobs as she tries to get by in college. Her family's financial situation worsens when her father is let go from his job, leaving her at her wits end to land something stable. 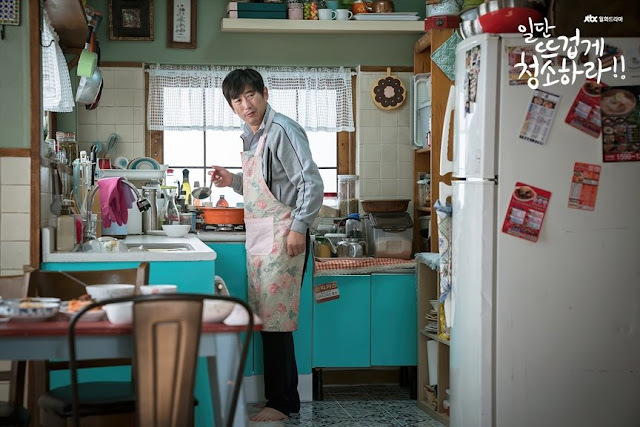 By chance, she applies to be a cleaning fairy at a company owned by Jang Seon-Gyul (Yoon Kyun-Sang) a germaphobe and seemingly pretentious man whose rubbed her the wrong way and has left her humiliated through previous encounters. Oh-So's sloppish and quirky ways have their effect and slowly cures Seon-Gyul of his mysophobia and the distance he creates between himself and others. The first two episodes were a fairly breezy and nice watch, with nothing too unexpected except for the hilarious and outrageous ending to episode 1 that had me choking on air. 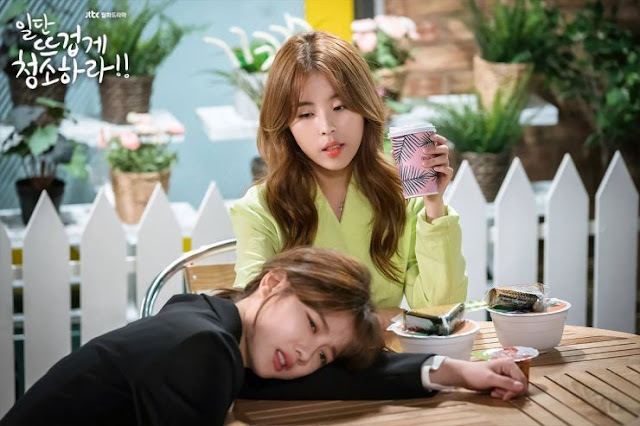 Overall, the drama seems a bit underwhelming since it has a simple if somewhat basic plot we've seen before with main characters that aren't new to dramaland. 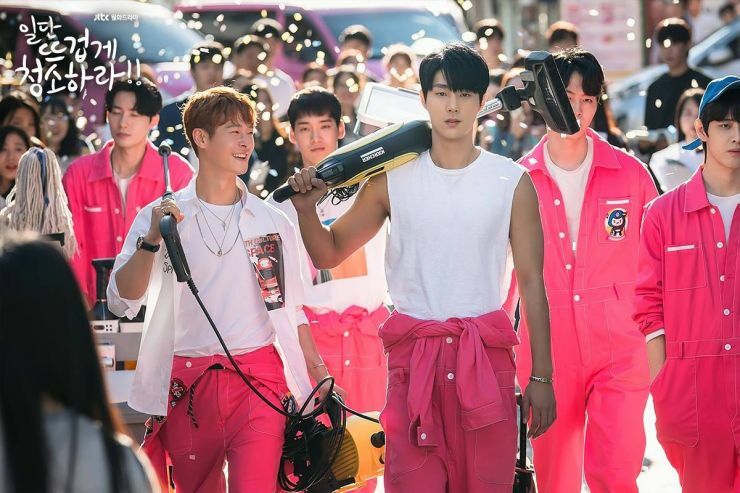 That being the case, I find it watchable and a far cry from the disappointing rom-coms I've been coming across lately since the drama's cast and simplicity give off a feel-good atmosphere and romantic fluff you can't help but divulge into. What I really have to appreciate is the production team's effort to cast actors who are good at their craft, with experience under their belt to make us all intrigued. 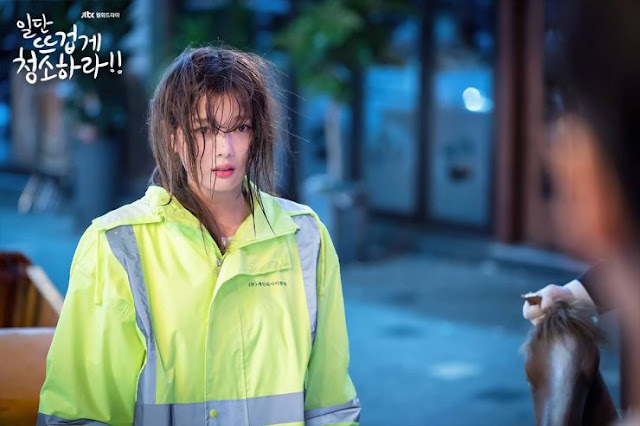 I love Kim Yoo-Jung's performance here since her character could easily cross the fine line that already exists to be a frustrating and annoying female lead but she manages to remain within the lines, establishing Oh-So as a girl with quirks but with normal struggles and desires. 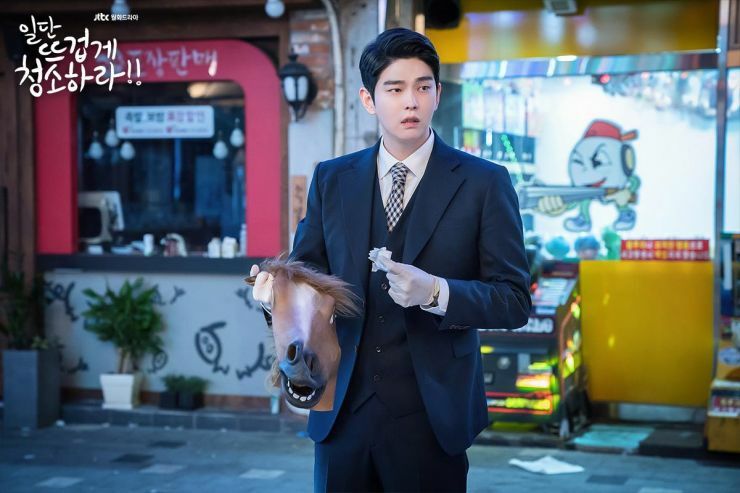 Yoon Kyun-Sang can't be described as anything but a giant, squishy teddy bear in comparison. Other than the height difference being adorable, I think he's harnessed his character perfectly to give us a more illustrious and exaggerated CEO but also as a man with a dysfunctional childhood and odd family dynamics. 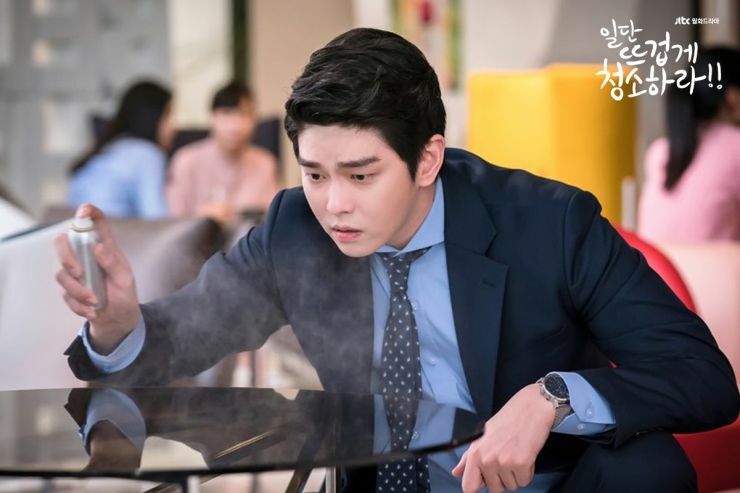 As the son of a single mother whose never had to raise him because of her wealth, and a physically oppressive grandfather who doesn't want his grandson to be belittled by others, a complex and messy family life are Seon-Gyul's reason for being a germaphobe. So I guess the show isn't entirely rainbows, unicorns, and fluff but the added depth to our characters does make a significant difference so the viewer finds more substance in the drama and isn't simply expecting the chemistry between the leads to be the singular driving force of the whole series. 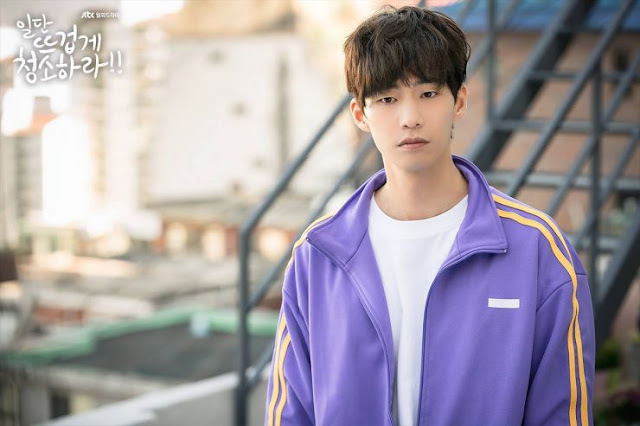 I'm not sure where to place Song Jae-Rim's character since he's still a bit of a mystery but he's shaping up to be an endearing second male lead that'll play a pivotal role in Oh-So's life. After a one-sided crush leaves her heartbroken and becomes an eye-opener as to how innocent she truly is, the main men in this story are wholeheartedly welcome and add more colour and vibrancy into her crumbling life. There's already signs of friendship and a few sparks flying but the relationship progression Oh-So has with Seon-Gyul and her mysterious neighbour is steady and believable, never thrust upon us. I like the build-up of the drama so far despite the story being somewhat flat since the comedy and romance are quite nice even if its material we've seen before. I'm not too sure where the drama is headed but I'd look at it positively in the meantime, before coming to a final conclusion of whether this deserves a spot on my weekly drama watch. It could have that elemental surprise and prove us all wrong; there has to be a reason why so many familiar faces and actors who can do just about anything would want to be in a small series of a webtoon adaption. I'm hoping on better reveals and romance formations next week to give me that reason to stay since the drama really isn't bad at all, I just wouldn't call it great or say I'm sold from the get-go. 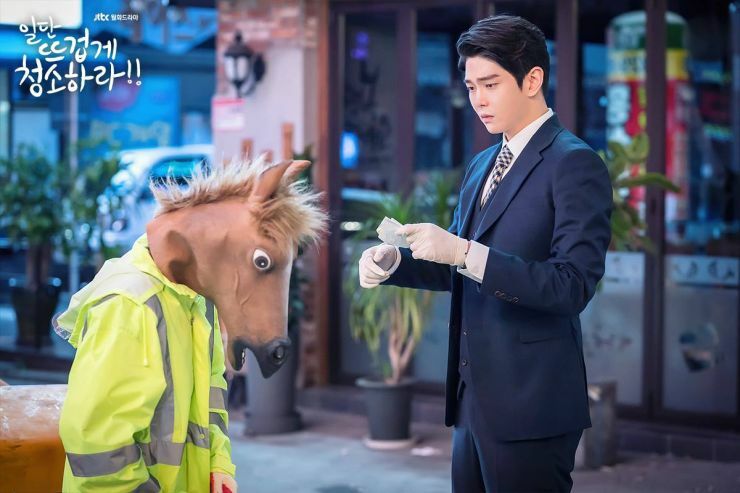 Yoon Kyun Sang is just miscast to me and his visuals don't work for this character. No matter how much beauty filter they use in his close-ups it is obvious he is much older and his looks and physique leave much to be desired. He looks like an uncle in his scene with Yoo Jung and it's gross to imagine them in a romance. I think it might be better if Yoon Kyun Sang swapped roles with Song Jae Rim. 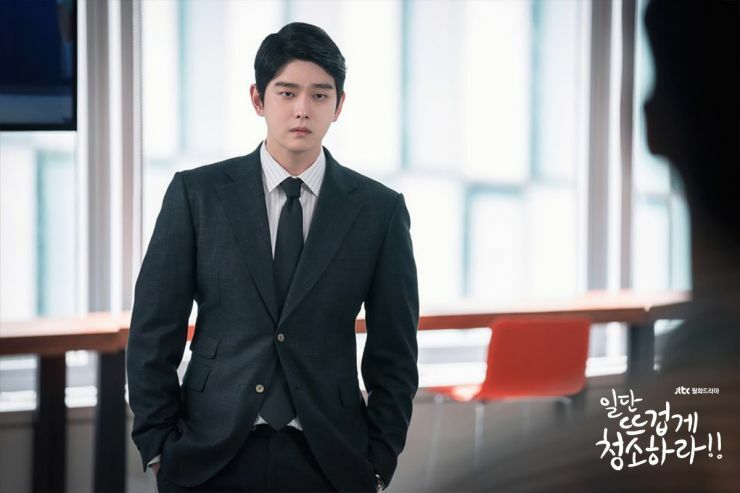 SJR is also much older than the female lead but he gives of the chaebol vibe. He is closer visually to the webtoon character, more handsome and a better actor. I don't understand why South Korea seems to love pairing teenage girls with 30-something year old men. The age difference and power dynamics now he is her boss are just wrong. Romantic comedy with formulaic plots need to at least make your heart flutter and this couple ain't it. Even the poster is cringey. I hope Kim Yoo-Jung gets a more interesting, nuanced character and better drama next time (with a younger lead actor too). I'll wait for that drama! I agree with some of the points you've made but I didn't find it that bad because Love Alert is an absolute mess in terms of story/plot so in comparison, I prefer this one any day. It's unfortunate that a lot of dramas with young couples is scarce in SK if we're going to discuss couple pairings. 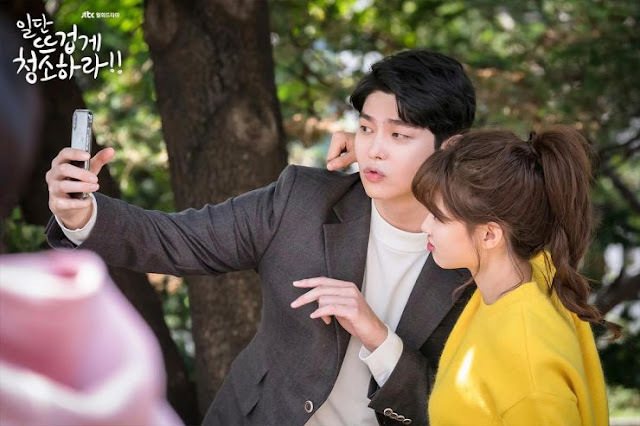 It seems like 'young' love or young actors being paired are meant to portray younger versions for older actors or high school romances so I'm skeptical to whether or not Kim Yoo-Jung will be paired with an actor closer in age or a younger male since like you said, age gaps are becoming wider and wider. It is cringy and it is lacking, but I've seen far worse so I don't want to dump this to the side of the curb and lump it together with trashy dramas although the fantasy and melodramas set to air will probably make this a forgotten memory.